Labeled the “Switzerland of America,” Ouray is nestled in a tight sheer-cliff canyon an hour from Telluride, and is home to hot springs and the world’s first ice climbing park. Ouray is a strikingly dramatic mountain town with lively summers and a winter season that attracts some of the world’s best ice climbers. 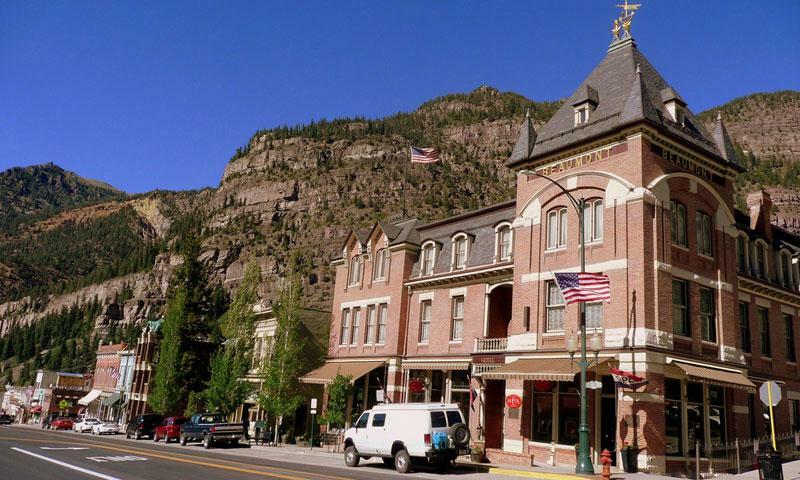 A small town with only about 800 residents, Ouray is the definition of charming, with beautiful scenery and an active, outdoors-based culture. Ouray, CO, is 11 miles south of Ridgway and 23 miles north of Silverton along a famous stretch of road tagged the “Million Dollar Highway” in southwest Colorado. Ouray is similar in size to Telluride, although the winter months can render the town a bit sleepy (there’s no ski area here.) There are always options, however, with several hotels, businesses and restaurants along the main drag. The Ouray Ice Park is free of charge and consists of dozens of 80-to-200-foot waterfalls along a one-mile stretch of the Uncompahgre Gorge. The park opens in December and can stay open until March depending on the weather. The Ouray Ice Climbing Festival is held in early January and attracts the world’s best climbers. The Ouray Hot Springs Pool is a 250-by-150-foot super tub with more than a million gallons of natural hot spring water. The pool is divided into sections, with soaking areas ranging in temperature from 96 to 106 degrees, a lap swimming and diving area, a slide and a shallow section for children. To reach Telluride from Ouray, Colorado, go north on Highway 550 then turn left onto Highway 62 in Ridgway. Look for the left turn onto Highway 145 to Telluride. The drive usually takes about an hour. Stop at Gunnison and Crested Butte, Colorado on your way here from Denver! 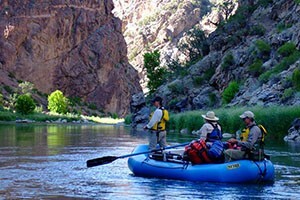 Official website for the city of Ouray. The Ouray County Historical Society provides a complete history at the Ouray County Museum. Ouray County Arts Association (OCAA) promotes the appreciation and presentation of art in the Ouray area.